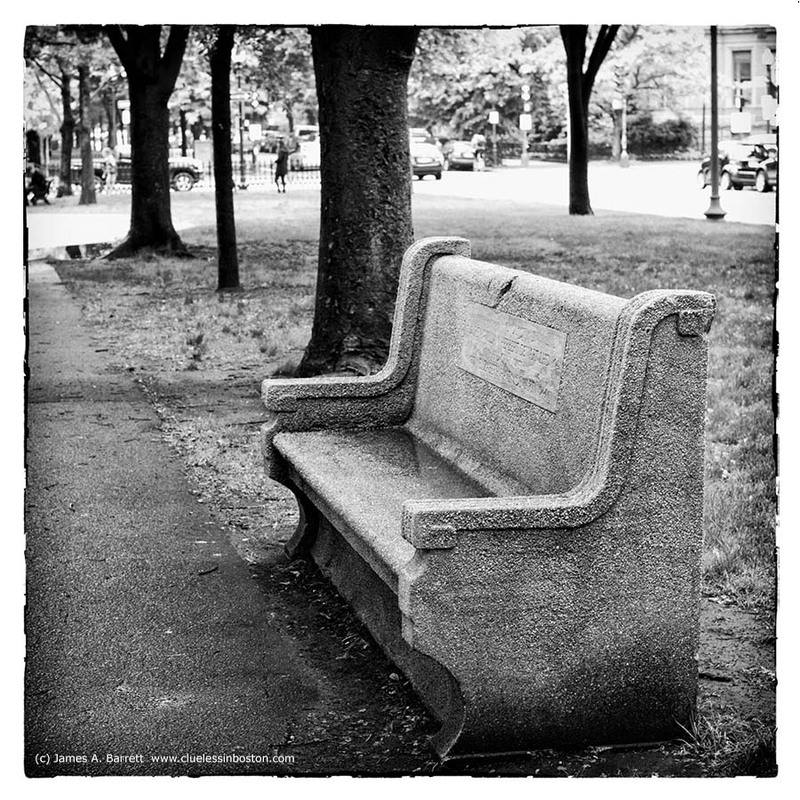 Memorial Bench on Commonwealth Avenue. Inscription reads: In Memory of Rev. William Herbert Dewart, LHD 1862-1941 And of His Wife, Elizabeth Haven Dewart, 1877-1944. Bench location: near Dartmouth Street by the Vendome Fire Memorial on the Mall. Would you allow me to put this picture (with a link , of course) on my blog of benches ? I always find those "memory benches" very moving , but it's rare to find one in Europe. I have to say, it's not a bench that tempts me to sit down. I think I'd keep looking. I also love benches!This one is wonderful,you have clever eyes! You're very kind,Thank you very much! Benches make wonderful tributes. This one will be there for a long time I think CB. Wonderful use of black and white - its an underused medium these days I think.